Hello lovies, so in one of my lasts post I had a mini haul, you can check it out in the links below. In that haul, I bought the Loreal Paris 440 Black Quarts Double Extend Eye Illuminator. 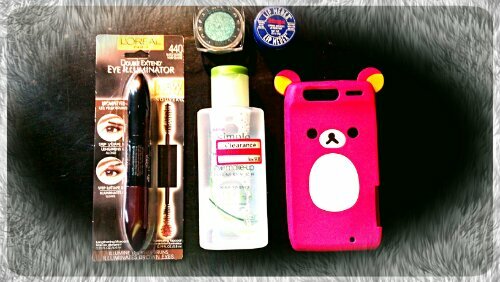 At first, I will admit I was a bit disappointed with the mascara, I didn’t think it did anything for my lashes or made them very shimmery. But then I read the packaging, and of course I was using it wrong! Derp! The packaging says you apply the black mascara end first, then when it dries add the sparkly end to your lashes on top of the black coat. Before I just used the sparkly end lol. 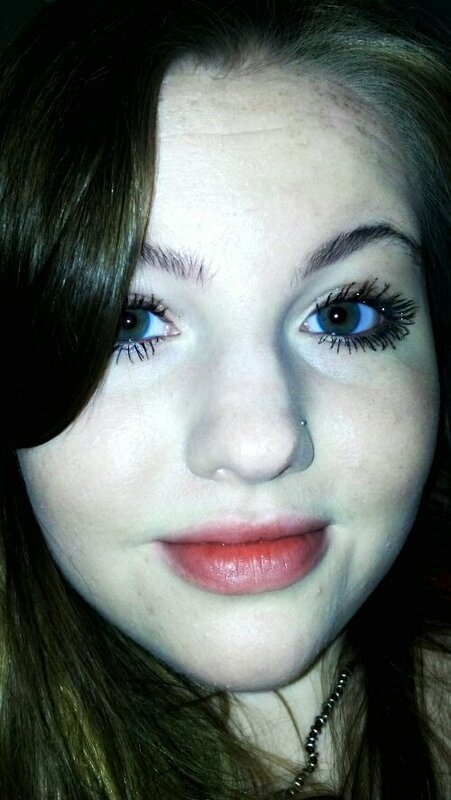 So I grabbed my makeup remover and washed away the mascara and tried again! 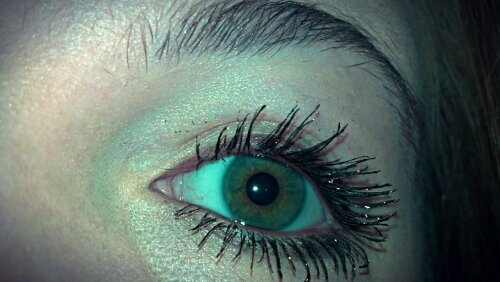 Finally, TA DA somewhat sparkly lashes. It isn’t a crazy amount of shimmer, but that’s is kind of a good thing if I want to go out with a little extra something special and not looking like Lady Ga Ga on concert day. 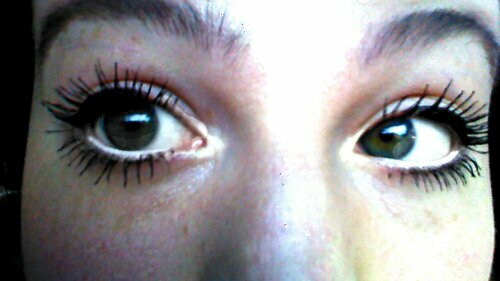 The mascara comes in a bunch of different shades, ones for blue, green, brown eyes, ect. I bought the brown eyes formula, even though I have green eyes, because I thought the color on this one was just so pretty! Today I made a little run down over to Target, and Walgreens and just picked up a couple things. 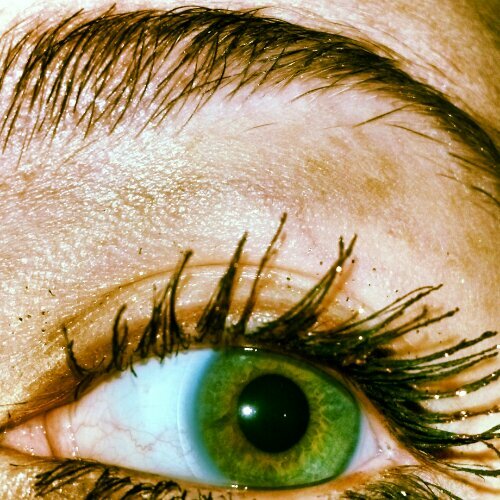 Want to brighten your eyes? Even make them look bigger? Want The Look? 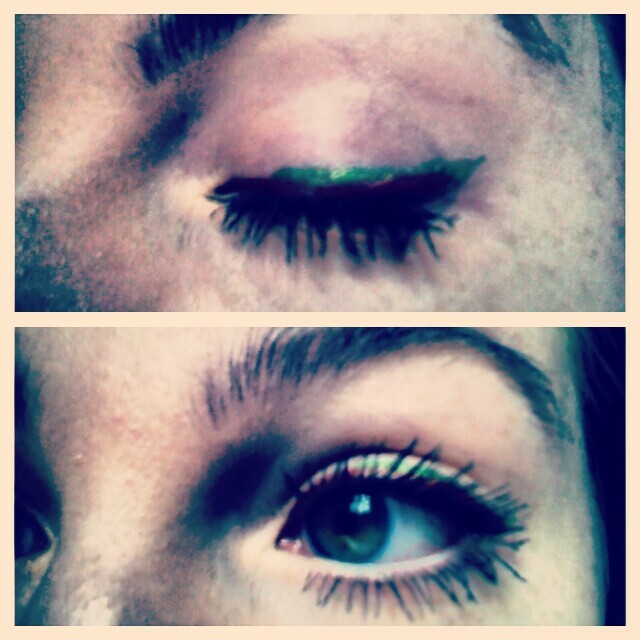 Green Liquid Eyeliner. Wet N’ Wild Fergie Highlighter: Better than High end shimmer? Want to look dewy? Want to glow like Cinderella on the night of the ball, But you don’t have a rich prince to buy it for you? Here is a great drugstore option you can buy right at Walgreens for $5. I was a bit skeptical at first, I was trying to figure out whether or not to spend the money at Sephora on an expensive highlighter the like Two Faced Candlelight one. So I decided to give this one a try, after seeing it in the new section for Wet N’ Wild. The shimmer highlight palette comes in three different shades: Carnival In Rio, Rose Golden Goddess, and I got the last one Rose Champagne Glow. I was really excited to pop home and try it out! After applying my foundation and setting powder I applied this with an angled brush to the party of my face that gets hit by sunlight the most: Middle of my forehead, apples of my cheeks, above my top lip, and down the bride of my nose. Applying a highlight in these areas will have different benefits to the overall look of the face just as a bronzer would. A highlight on the apple of the cheeks give an illusion of higher cheekbones. Shimmer down the bridge of the nose elongates the nose and makes it seem slimmer. A dab of this highlighter above the top lip, give the impression of fuller lips. To my surprise this budget savvy wonder, looked amazing with my skin tone, and really worked just as great as all the other high end shimmer products! The formula of this palette is not sparkly, but adds the perfect amount of glow to my face for a healthy dewy look. I have fallen in love with this, and would definitely suggest it to anyone in look of a cheap highlighter that really does the job! 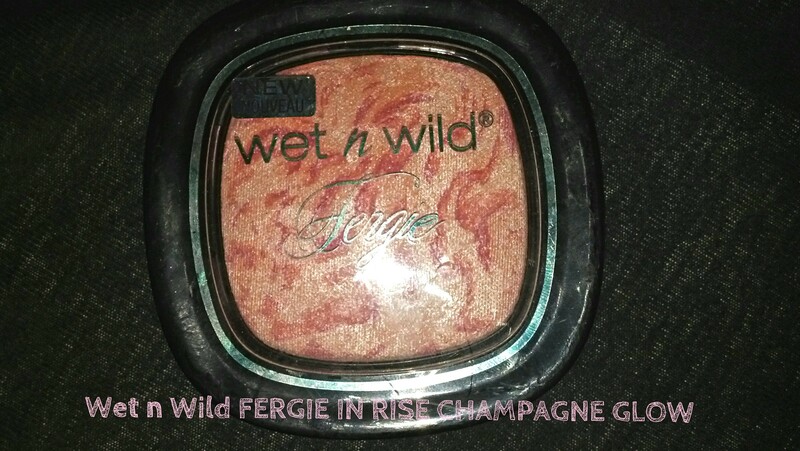 Well done Wet N’ Wild, and Ms. Fergie. 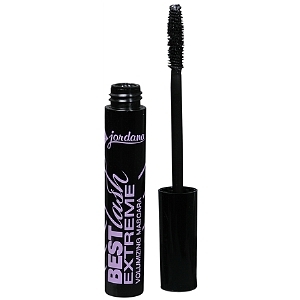 This mascara can be bought at any Walgreens for $2.99 in shade 301 Black. 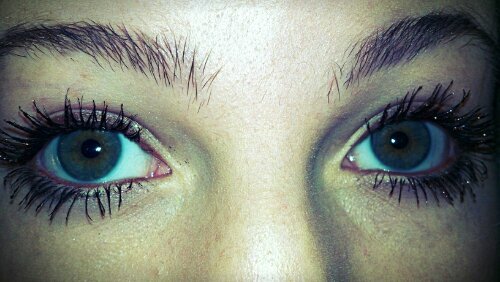 I definitely suggest this mascara, and hope you guys give it a try. Let me know as well what your thought on it are! 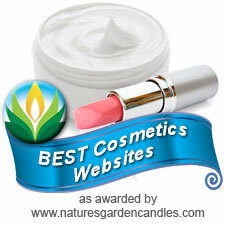 Below you can find the site to access Jordana cosmetics.